The word 'yoga' means 'union' and the word 'Ayurveda' means the 'science of life'. Together, yoga and Ayurveda can do wonders for the human body, mind and soul. Today, hundreds of thousands of people (including top Hollywood celebrities) are turning to these ancient sciences in order to live a stress-free and joyful life. When you're looking for rejuvenating yoga and Ayurveda tours, heading towards the Indian subcontinent is the best choice. States of the northern and southern India are famously known for practicing Yoga and getting Ayurvedic treatment. Rishikesh (Uttarakhand) is one of the finest destinations for travellers who are looking to revive their inner self through the ancient healing techniques that yoga and Ayurveda feature. As soon as you step into this blessed town, you'll start to feel a sense of calm, fulfillment and joy. Here, there are multiple teachers and practitioners who are always eager to provide you with a blissful and spiritual experience. 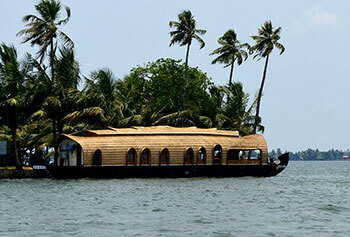 Another world-popular destination to get the most out of yoga and Ayurveda is Kerala. Every year, the state attracts hordes of tourists (belonging to different faiths) from different countries of the world. Kerala offers perfect natural conditions for enjoying the many benefits of yoga and Ayurveda. There are several common diseases and medical conditions that Ayurveda has treatment for. Ayurveda provides effective treatment for diseases like acidity, allergies, arthritis, asthma, chronic cold, constipation, obesity, thyroid disorders, depression, diabetes, hair loss etc. People suffering from serious medical conditions can also get Ayurvedic treatment to live a better, happier and healthier life. Nepal is also considered to be an excellent destination for practising yoga and meditation. If you're travelling to Nepal, you should head straight to Kathmandu where you'll find highly experienced yoga gurus. Learning yoga and meditation in the lap of the Nagarjun Jungle in Kathmandu is undoubtedly life-changing. Even places like Sri Lanka, Bhutan, Bangladesh and Maldives have many yoga and Ayurveda centres. Max Holidays carries extensive experience in organizing yoga and Ayurveda tours across the entire Indian subcontinent. Our travel experts' team has carefully put together an array of tour packages to maximize the benefits of yoga, meditation and Ayurveda. Whether you're looking for specific treatments or want to have a completely rejuvenating holiday, these tours are just the way to go. Our travel consultants are always within easy reach, if you're in need of a tailor-made package or a special group package to suit your specific requirements. "Due to some of my personal issues, I was very disturbed. I needed some peace and relaxation and that too away from my residence. Due to the same reason, I started developing some health issues. I knew India was a perfect place for me. 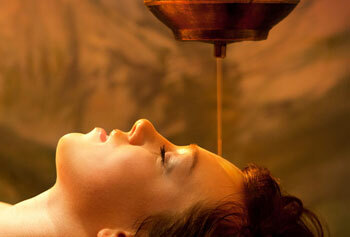 I contacted Max Holidays and let me feel relaxed through the Ayurveda Spa Tours. " "I have visited India earlier too & I loved the ambience out here. The Yoga, meditation, Ayurveda are perfect to help a person forget all his/her life’s tensions and just stay chilled out. I didn’t know about the Ayurveda Spa Tours until I got introduced with Max Holidays. I tried out the same this time and my experience was breath-taking." 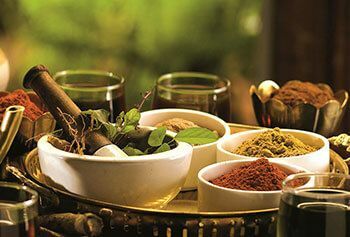 "Max Holidays suggested me the Ayurveda Spa Tours and since I was quite interested in it I surely gave it a try. I went to Rishikesh and the moment I entered this town, it was a fresh feeling. I got introduced to multiple teachers from the same field and got to know the Yoga and meditation techniques too. "